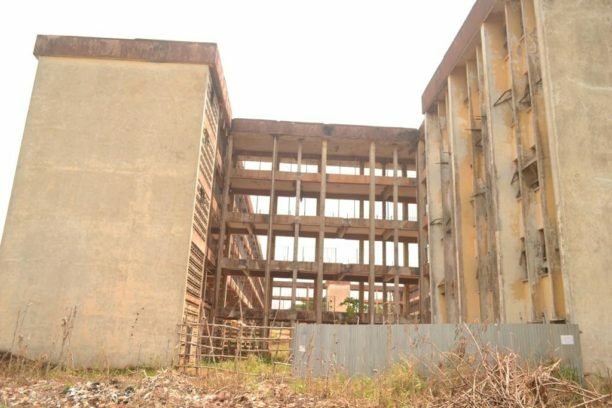 As accommodation crisis rages in the University of Nigeria, Nsukka, UNN, students living in Eni Njoku and Alvan Ikoku hostels of the university have decried the level of dilapidation of the facilities. *Students and contractors have abandoned the Ginigeme Mbanefo hostel in UNN. The students living in the two hostels said part of their roofs were blown off by wind storm approximately eight months ago and the institution has paid deaf ears to the request they made for renovation through their hostel governors, a situation that has made them to raise the alarm over possible collapse of the hostels now that the rainy season is eminent. The affected students who bemoaned the bad state of the hostels also disclosed that the institution sent staff from Works Department to remove every electrical installation from their rooms with a promise to renovate the rooms within a few weeks, but to their greatest surprise, nothing has been done, resulting to the students’ makeshift electrical installations. “The hall governor said he had written letters to the Vice- Chancellor and the Dean of Students’ Affairs for re-roofing of the hostel but since then, nothing has been done. The roof was blown off about eight months ago during our last semester examinations. “The school should do something on this because UNN is seen as a big university and things like this should not be allowed to deface the school. Alvan Ikoku hostel has the same problem too,” Aleke said. Also, another roommate, a five hundred level student of Mechanical Engineering, Blessed Ayamekwe, expressed the fear that the decking may collapse on them if it keeps accumulating water during the rainy season, aside breeding anopheles mosquitoes that would infect them with malaria. “Assuming there is a channel that drains the water from the decking, it would be better, but now every drop is being accumulated there, it may collapse on us,” he cautioned. The situation is not different in another room visited in the hostel where a three hundred level student of Computer Science, Uche Miracle, disclosed that the school sent staff from Works Department to remove all electrical installations from the hostel with a promise to put them in order. He expressed surprise that nothing has been done since the removal. “We are the ones doing all these wirings. Last session, the school removed all the wirings with a promise to carry out maintenance work on them but till now, they haven’t done anything. It was when we came back from the break that we started putting up these wirings so that we can have light to read at night and do other things. When you wait for the school, you will wait in vain, so we do things on our own here. In all the rooms, you will see these kinds of electrical connections,” Miracle said. The students complained that every project in the school is handled at snail speed, citing the construction of their hotel’s access road where contractors began work many months ago but have not done anything reasonable. When South-East Voice visited the Dean of Students’ Affairs, Prof. S.I Ofoefule, he hurriedly said he was going out to attend to some issues but promised to return shortly, but he never did and after about an hour, however, his secretary, Francis Bassey, dismissed the plight of the students in Eni Njoku and Alvan Ikoku hostels with a wave of the hand, insisting that the roofs have been like that for years. “Whenever the school feels like handling it, they will handle it,” Bassey said. Clusters of students with accommodation problems were seen in and around Students’ Affairs edifice. One of them, Chika Njoku, a fresher in the Department of Medical Laboratory Science, disclosed that she has been trying to secure accommodation since last year but her efforts had been futile. She said the accommodation portal opens and closes intermittently, thereby frustrating students who attempt to secure bed space in the hostels, adding that the staff who attended to them earlier, said the school has no more accommodation for students. 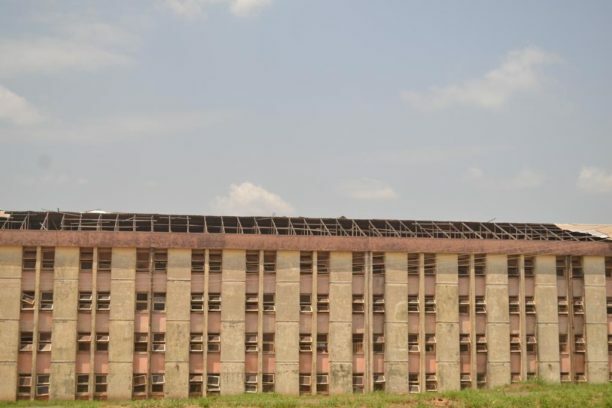 UNN has been having accommodation issues recently owing to the dilapidated state of some of their hostels which led to their abandonment and the increase in students’ admission. Ginigeme Mbanefo hostel and the Zik’s Flat had long been vacated because of their bad states and nothing positive seem to be going on to remedy the situation; leaving the students, especially, the male students with no option than to go outside campus to rent box-sized self contain accommodations with cut-throat prices ranging between N140,000 to N160,000.